Learn how to become a teeth whitening professional in just one hour! Diamond Dave says it’s easy money. Even though it is illegal. Over recent months we have warned on numerous occasions that it is unlawful for anyone other than a qualified, registered dentist, dental hygienist or dental therapist to perform teeth whitening treatment. Yet when a national newspaper recently carried out an undercover investigation they discovered that the practice of illegal teeth whitening by unqualified beauticians and hairdressers etc at hundreds of rogue salons is still rife and is endangering customers’ health. At one salon the newspaper investigated, total novices were being taught how to become a teeth whitening professional on one-hour courses costing less than £300. These courses, according to the investigator, were claimed to provide ‘full training’ in the use of whitening gels and associated equipment. However the course contained virtually no information on vital medical matters – including what to do is a customer suffers an allergic reaction. Instead the trainer, who called himself Diamond Dave, spent most of the time promising the undercover journalist that it was the easiest money they’ll ever make. The law is quite clear that teeth whitening is a dental treatment, making it illegal for anyone not qualified and registered to provide it. So far the General Dental Council (GDC) has investigated over 300 beauticians for carrying out illegal teeth whitening treatments. 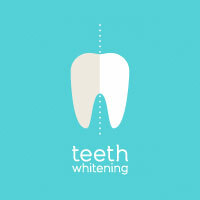 In the wrong hands the powerful bleaching agent used for whitening teeth can result in the loss of teeth and actually cause disfiguring burns to the mouth, gums and lips. Far from being a competent and qualified teeth whitening professional these rogue practices risk inflicting serious harm to their unwitting customers. At Carisbrook Dental we have witnessed many distressing instances of illegal teeth whitening treatments provided by unqualified people that have gone wrong. Some of the injuries we have seen have been quite horrendous and we would strongly advise anyone who is intending to undergo teeth whitening to trust no one other than a fully qualified and registered dental teeth whitening professional. At Carisbrook all our dental staff who undertake teeth whitening procedures are fully qualified and highly experienced and because as dentists we totally understand all oral health matters the wellbeing of our patients is always a top priority. As a matter of course we always examine each patient’s teeth, gums and mouth and also discuss the reason for the discolouration before we recommend the most appropriate and effective teeth whitening procedure from the range of tried and trusted treatments we can offer. We may recommend a home whitening treatment course, or one of our in-clinic treatments that include laser whitening using our ZOOM! machine or the very latest ‘Enlighten’ technology – the revolutionary new teeth whitening treatment from the USA. This is probably the most advanced teeth whitening process there is. 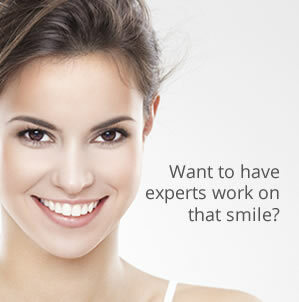 Take a look at our Teeth Whitening page to read more about the various options that we offer. Right now could not be a better time to talk to us about teeth whitening because thanks to the Offers that we currently have you could also save yourself money. As well as a FREE CONSULTATION for all new patients we are also offering £100 OFF HOME TEETH WHITENING. To take advantage of these special offers you must contact us soon. You can call us on 0161 951 7295 or alternatively you can contact us by using the online form on our Appointments page.